John and I have been eating at home to decrease our spending, and we are working on making meals for two (that don't have left overs for 10 extra people!!). It's a learning curve, but we are figuring it out. One of our more successful (and very tasty!!) 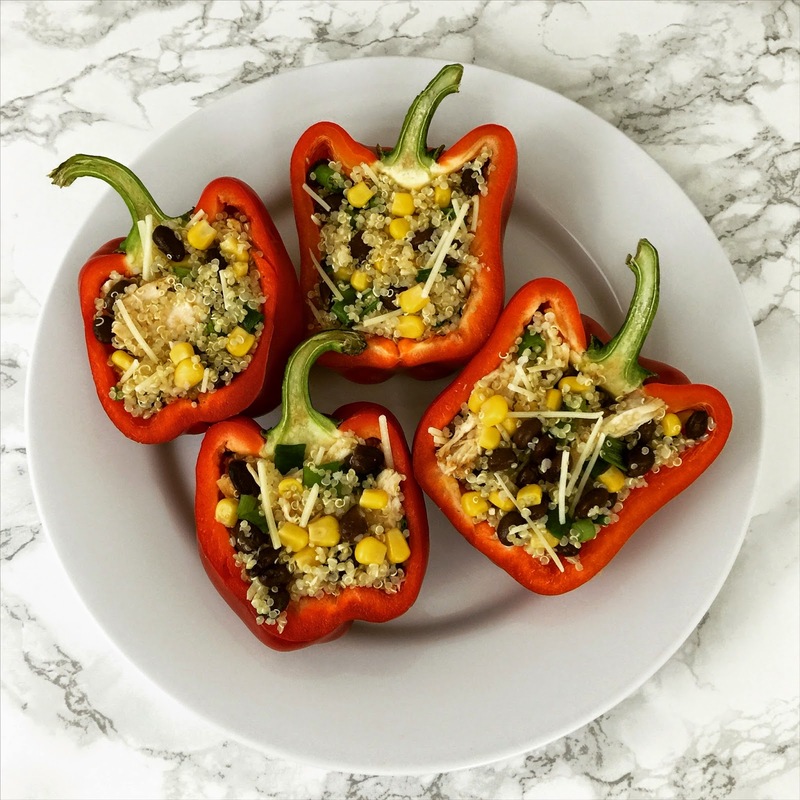 meals was Southwest stuffed quinoa peppers. 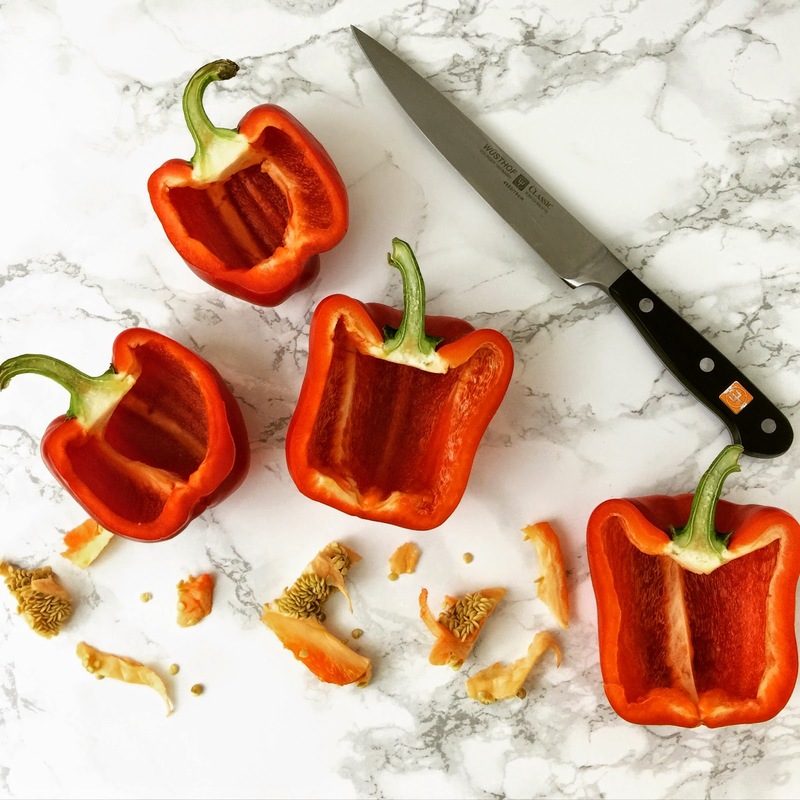 Begin by cutting 2 red peppers in half and removing the seeds and ribs. I cut the peppers length wise to get two servings out of each pepper, but feel free to cut laterally, and stuff the peppers standing up. 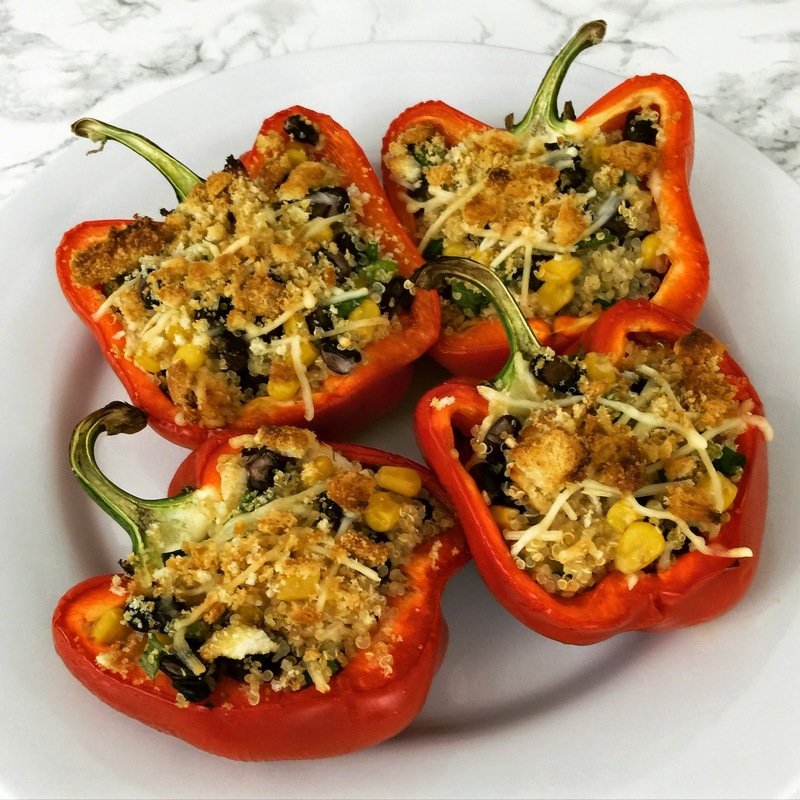 Stuff the chicken and quinoa mixture into the peppers and top with Parmesan cheese and bread crumbs (optional, but obvi a good idea). 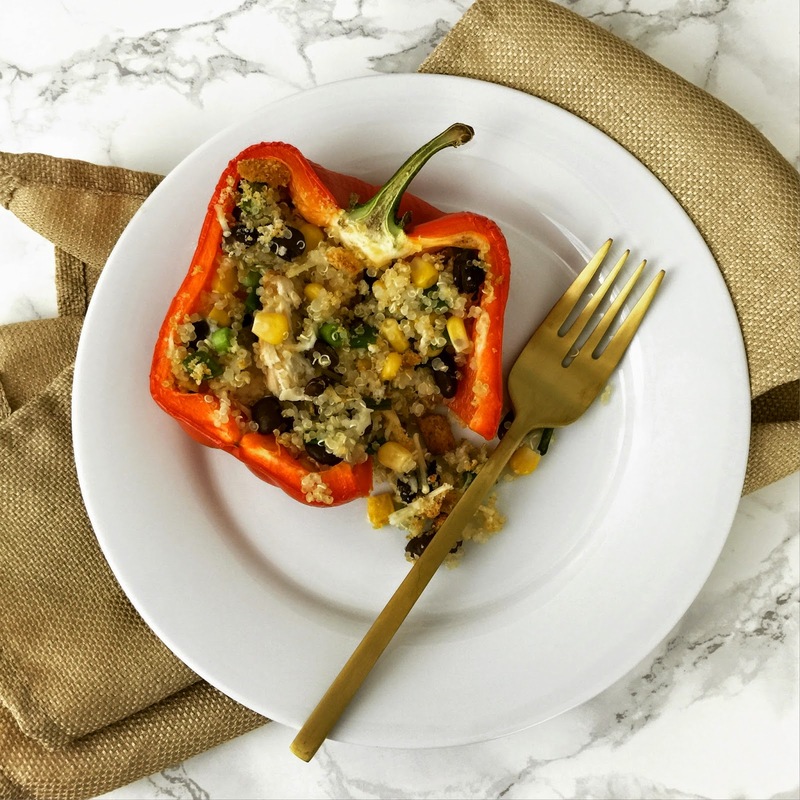 Place the peppers in a baking dish, drizzle with a little olive oil, and bake for 30 minutes at 400 degrees (or until cooked all the way through). It's as easy (and healthy and tasty) as that!! And I'm not going to lie, I'm no chef, but I certainly appreciated the variety of colors! I'm looking forward to mixing and matching this recipe to come up with different variations... I'm thinking something with avocado?! If you have any suggestions of stuffing ideas, please do let me know! Looks so good. We are trying to eat healthier and cooking for 2 ppl and not have left over for days. Looks delicious, and I'm always looking for something new to try. I also like the way that yo ucut them. I think that it makes it easier to eat them. :-) Thank you so much for sharing and have a great day! That makes more sense to cut it that way. I just made some pepper standing up & then couldn't figure out how to eat them well. That looks so good!!!!! We always get the big peppers from Costco so that with a shredded rotisserie chicken is an easy meal love!!! this looks delicious! we stuff ours the same way but I've never added bread crumbs on top! Yummm! 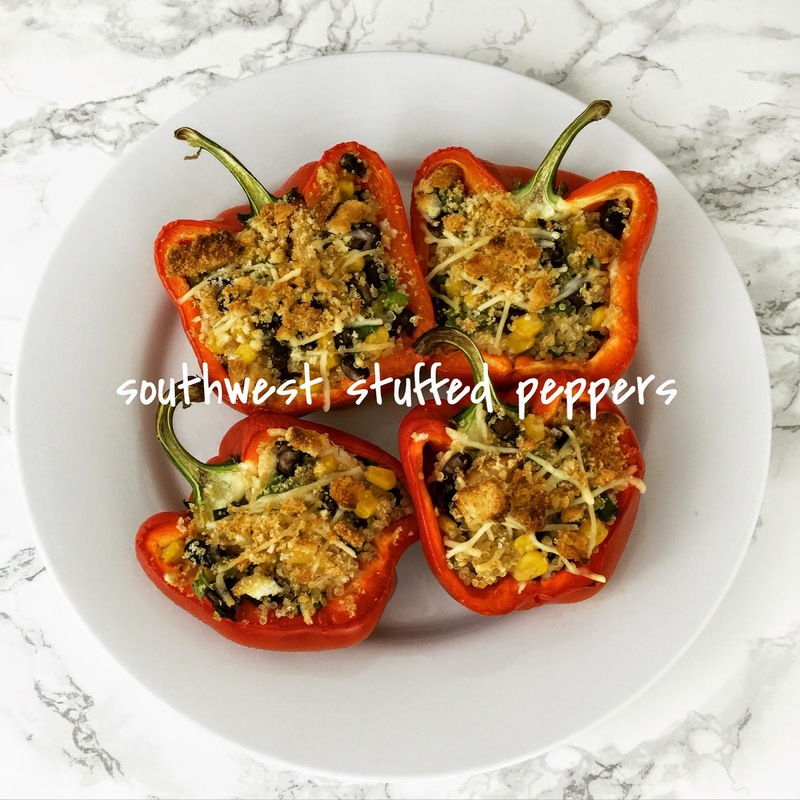 Chicken in these is such a good idea and I love how you sliced them in half instead of stuffing from the top since we can never eat an entire pepper! I'll definitely be making these soon! 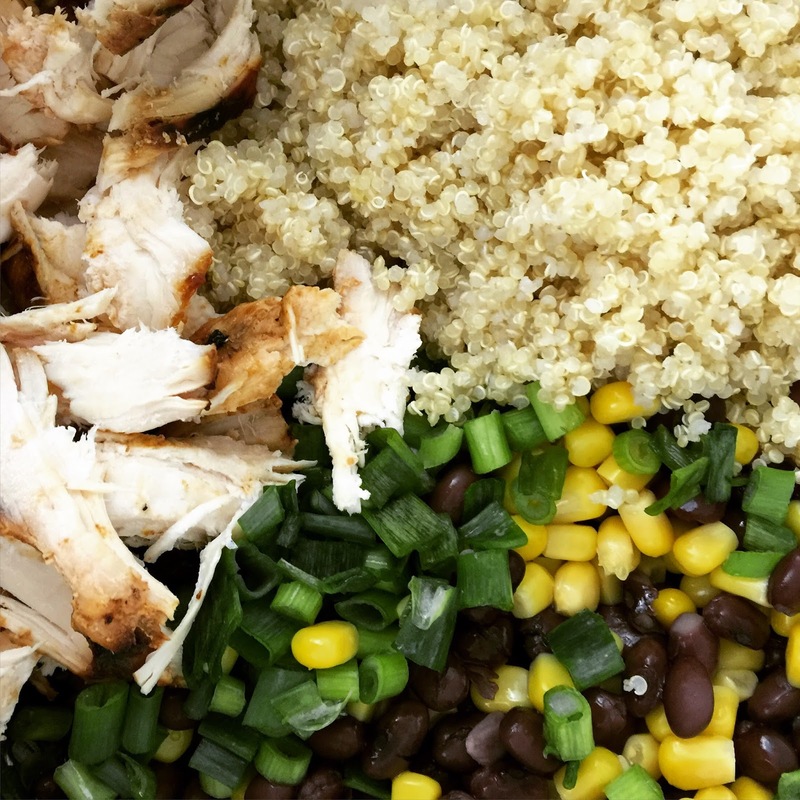 Oh yum; I love that you added the veggies, chicken and quinoa all together. Great recipe! Yum! I've made something similar and it was delicious! I need to make it again, but your way now! Isn't that the hardest? When there's only TWO of you?! Most meals I find recipes for have enough leftovers for DAYS and I hate calculating cutting everything in half or thirds or whatever. This is perfect and I'm saving it now!! Thanks!! and now I'm hungry. These look so phenomenal! Those look so good, and easy - for some reason stuffed anything always initially looks a little intimidating. You could make a southwest style with taco seasoning and avocado and corn, now my minds running! Five on Friday: All Things SPRING! Wish List: All Things Green!